The supply chain has come to a screeching halt for a number of small-business owners in Massachusetts' Merrimack Valley, as dozens of companies have no gas with which to cook, heat or operate other equipment with to provide goods and services for their customers. The outage has operators up and arms, actively contemplating what their next move will be to get things back up and running. Their problem traces back to Sept. 13, when a series of explosions occurred in houses and places of business in Andover, North Andover and Lawrence, multiple local news outlets reported at the time. Dozens of properties were left in tatters in what observers described as a scene resembling a war zone, leaving dozens of people injured, one of whom died. "Pressure in the gas lines was 12 times higher than normal." Although the cause of the explosions wasn't immediately known, subsequent investigation determined that a gas line had ruptured, caused by pressure levels being far higher than the pipes could allow. Indeed, a letter sent to U.S. Senators John Kerry and Elizabeth Warren noted that the pressure was 12 times higher than normal, NECN reported. Even though the destruction was confined to a few dozen structures, the fallout from the explosions were significant, as thousands of residents experienced electricity outages. The lights are back on, but the gas isn't, as utility firm Columbia Gas says it's working to replace the lines as quickly as possible. The company noted that if all goes as planned, homeowners and businesses will be able to cook and heat water again in November, although a specific date remains unclear. But that's not nearly fast enough for the companies whose supply chain derives from natural gas. John Ingalls, who owns a restaurant in Andover - a town approximately 30 minutes north of Boston - said he's not confident that he'll have his gas by Thanksgiving. "No one wants to give us a timeline on this," Ingalls told CBS Boston. "I think it could be weeks for sure." The 30-year restaurant owner isn't alone in his frustration. 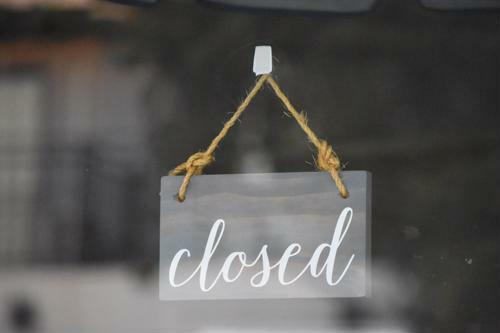 No fewer than 67 dining establishments are closed in Andover alone, the report said. Massachusetts Gov. Charlie Baker told WBZ-TV that he's meeting with as many business owners as possible throughout the Merrimack Valley to help deal with the aftermath and offer encouragement. "The assessment, mitigation and rebuild is on Columbia [Gas]," Baker emphasized. " They're going to pay for it." A breakdown to the supply chain often necessitates procurement adaptability. As such, a $1 million emergency loan has been set up by Baker's administration, NECN reported. Eligible business owner recipients will be able to tap into the funding interest free for six months, with market rates applied should recipients need the financing for longer than that. The maximum amount available per applicant is $50,000. Rudy David, who owns a barbershop in Lawrence, told the local cable news station the funding will help with procurement management. "I will be grateful for any type of help that I can get," David said. "Being closed four days - it was horrible. And then after the four days, we went another three days without business." The procurement process may be particularly nettlesome for restaurateurs - even after the gas finally returns. Every restaurant affected by the Sept. 13 incident must undergo inspection by the Massachusetts Health Department to ensure surfaces are safe to use and the air clear of potentially harmful particulates, WBZ-TV reported.